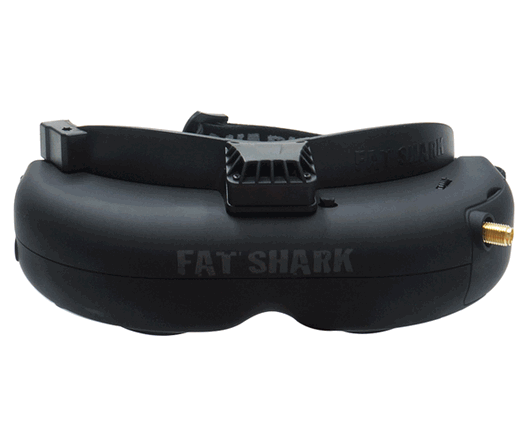 The Attiude V3 FPV goggle is the newest version from Fat Shark, which has moved the beautiful Dominator V2 optics into a new modular designed Attitude V3 and added support for 3D cameras based on interlaced 3D solution. Optional diopter inserts (-2, -4, -6) are available for those with less than perfect vision, allowing these goggles to be used by a majority of glasses wearers. Inter Pupil Distance (IPD) adjustment allows the goggle fit to be adjusted to for nearly any face. AttitudeV3 is compatible with the Fat Shark fan equipped faceplate for extra comfortable fit and fog free viewing.The 32 degree diagonal FOV display strikes a perfect balance between large screen immersion and compact pixel density clarity. Fat Shark again proved to be a real supporter of the FPV market and a market leader in the video goggles market with this new release.